The Chicago Rarities Orchard Project (CROP) is raising the bar on public green space. The new nonprofit was established to “create ‘community rare-fruit orchards’ in reclaimed urban spaces” in Chicago. Its pilot project, breaking ground in Logan Square in June 2013, will transform an empty plot into an orchard with 40 fruit-bearing trees, including rare and endangered varieties of pears, apples, and stone fruit. By planting rare-fruit orchards, CROP addresses several issues in one bundle, including crop diversity, vacancy, public space, and access to food. 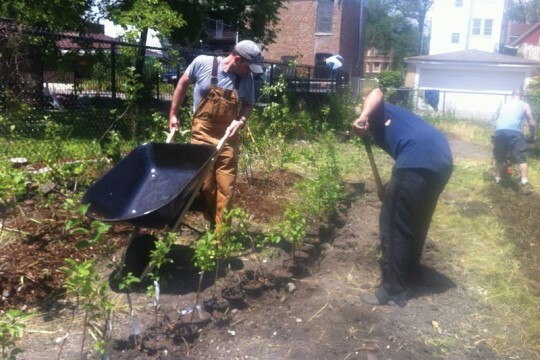 With partnerships with the urban land trust NeighborSpace, the City of Chicago, and landscape architecture firm Altamanu, CROP hopes to nurture a generation of custodians to ensure the orchard’s longevity.